Parkersburg is one of those places that I have to intentionally seek out. 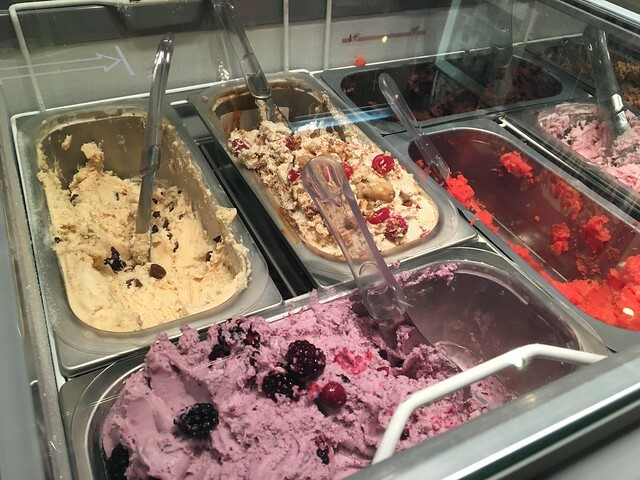 Very few of my travels take me through the area, so I have only recently begun exploring all of its culinary offerings - and there are many! 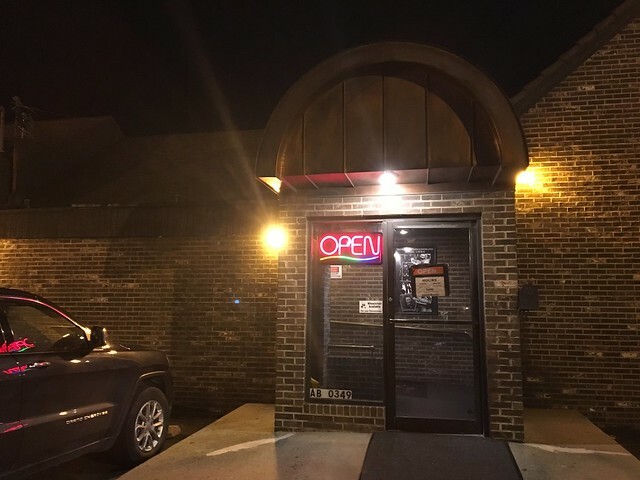 Recently, I stopped through Jimmie Colombo's Italian Restaurant for some tasty Italian food. I looked over the menu and picked up an order to go. Jimmy was born in Gypsy, WV an 1912 and was one of 21 brothers and sisters. Anna Lehosit was born in 1913 in Clarksburg, WV and was one of 15 brother and sisters. Both of their fathers worked in deep mines in Clarksburg, WV. James B. started in the restaurant business in Nutter Fort, WV in 1932. He built his first Colombo's on Bridgeport Hill in Clarksburg, WV an 1945. 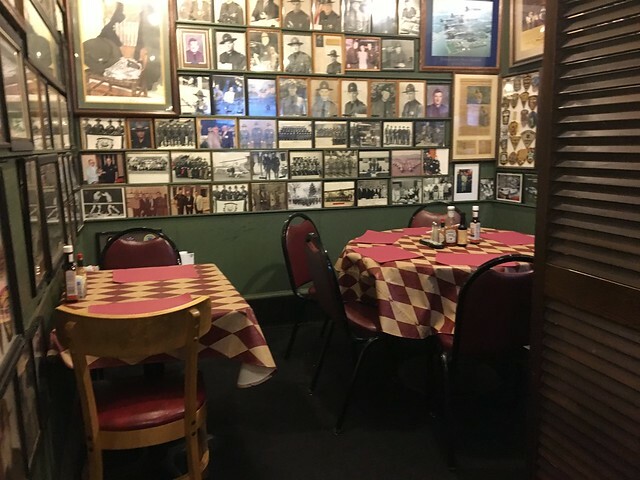 After 9 years at the site, Jimmy moved to Parkersburg, WV and established the present "Colombo's Restaurant" at 1236 7th Street in September 1954.The original restaurant seated 60 people. 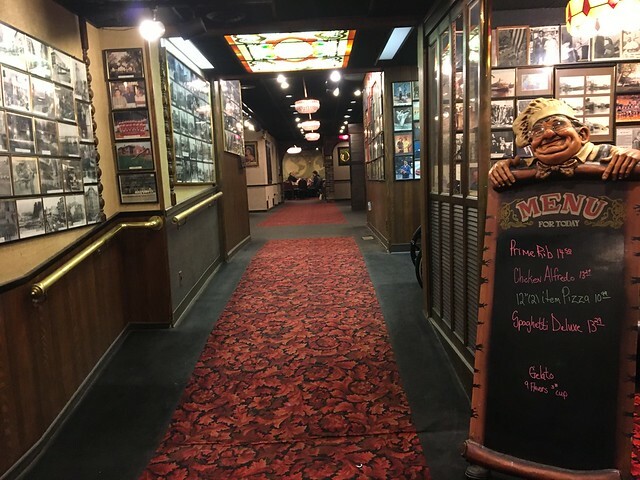 Over the years, our restaurant has gone through 7 expansions, added parking and expanded seating to well over 300 people (ABOUT). The restaurant interior - while I didn't dine inside - looks very homey. Every wall is nearly covered in all sorts of photos. Old stained glass fixtures lined the space, and the red & green motif made its way from the walls to the placemats. 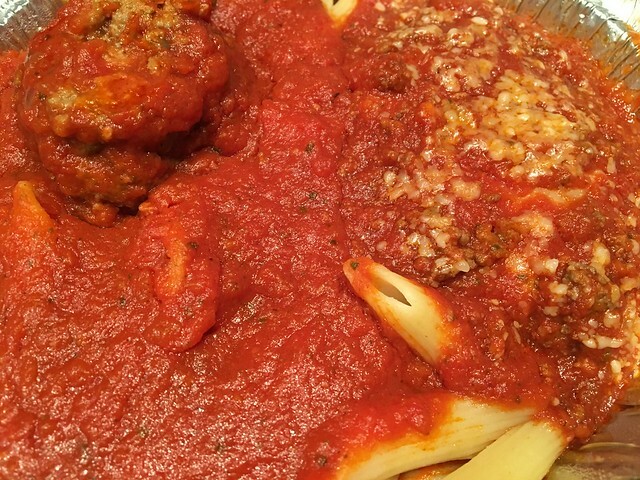 Once I was able to get home, I dove into my "Taste of Italy," which was a combination of lasagna, fettucini alfredo and penne pasta. 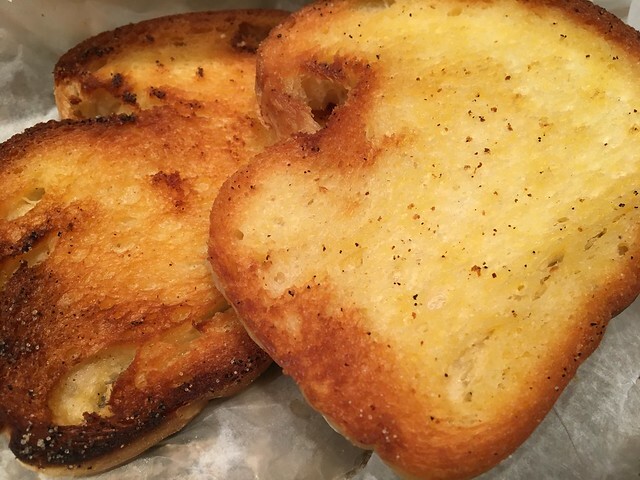 But, first, there's bread. Or buttery toast. 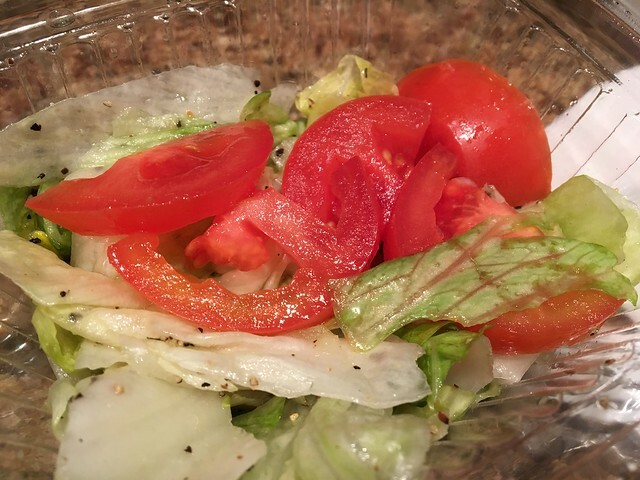 Then, there's a basic house salad. I wish there was a bit more to this, but it's not the star anyway. The star is, however, this giant pile of pasta. 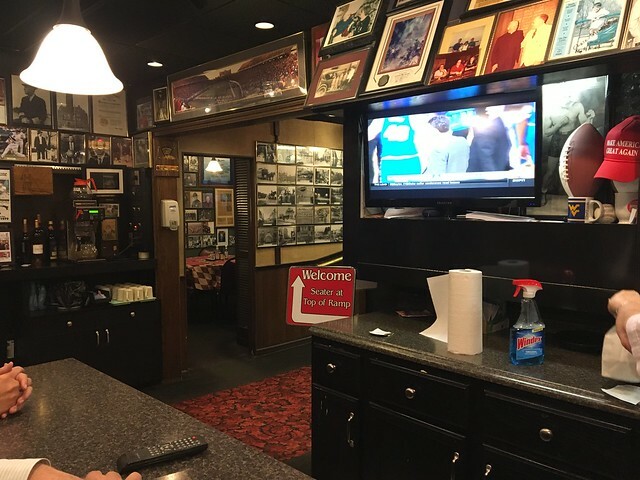 I enjoyed the sauce here, and the pasta was perfectly cooked - something hard to come by. I think the penne was my favorite, though the lasagna wasn't bad, either. 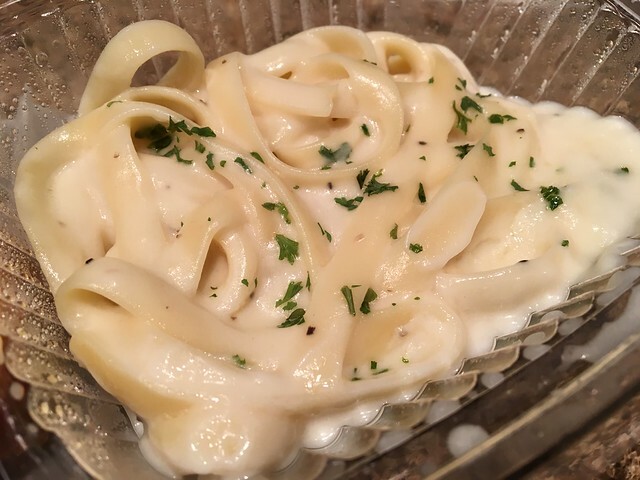 The alfredo was a bit thick, but fairly average. Overall, not a bad spot for some Italian food. I think I'm spoiled with the plethora of good Italian dining here in North Central West Virginia. But, the red sauce is always key - and I think they have a good one.